The Celtic Knot design measures approximately .86" x 1.16" if made with size 11 Delica beads. Design is suitable for beading in any size seed or Delica bead and can be made in either Brick Stitch or Peyote Stitch. Design would make good earrings, charms, decorations, suncatchers or other ornaments. 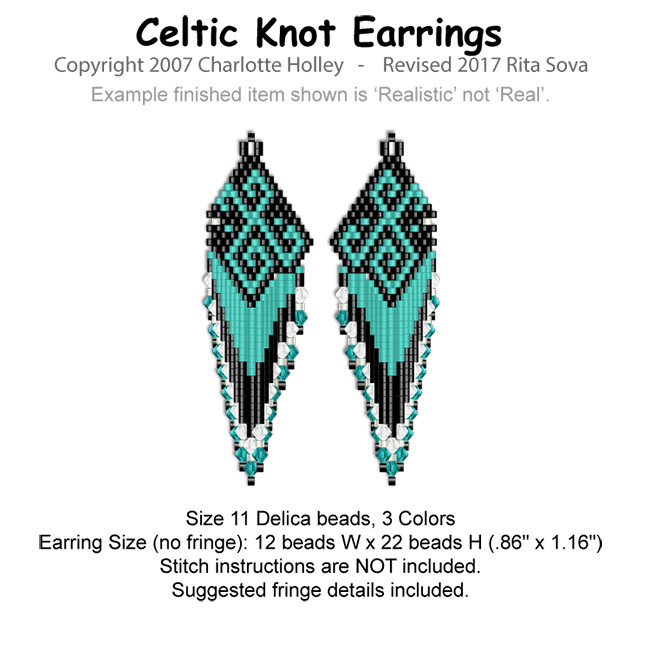 A Set of Celtic Earrings and Pendant is also available.